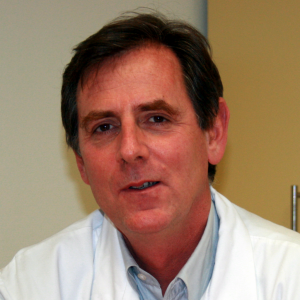 This month we interview VASCERN Coordinator, Professor Guillaume Jondeau, a cardiologist from Paris, France. Prof Jondeau took the time to answer our questions about how he became the Coordinator of VASCERN, his expertise in Marfan syndrome and related diseases, and his hopes for our network. 1) What disease(s) do you specialize in (or what is your medical specialty) and what interested you in this field? I specialize in aortic diseases and I became interested in this field while doing my doctoral thesis in medicine. I studied a large family that was being followed by the cardiology service where I worked and that had what we thought to be Marfan syndrome. I studied this family on a clinical level and they were also studied on a genetic level. Thanks to the study of this family, we discovered that Marfan syndrome was not caused by a single mutation in a single gene but mutations in several genes, which indicates that there is genetic heterogeneity in Marfan syndrome. 2) How did you become involved in VASCERN? As a result of my interest in aneurysms of the ascending aorta, I first became involved with the reference Center for Marfan syndrome and related disease (CRMR Marfan et Pathologies Apparentés), started in 1995, and then the French national network, called FAVA-Multi, which deals with rare vascular diseases and coordinates the various actors involved with these rare diseases at a national level. As coordinator of this network I was of course interested in becoming coordinator of VASCERN, the European Reference Network (ERN) on rare multisystemic vascular diseases. 3) What is your greatest hope for VASCERN? The goal of VASCERN is to improve the care and treatment of all rare vascular disease patients in Europe and to allow for patients in all European countries to have access to rare vascular disease reference centers. The other hope is to make progress in the understanding of these rare diseases, which are still largely unknown. 4) What challenges do you face as a healthcare professional in the rare disease field? There are multiple challenges when dealing with rare diseases. The first challenge is that as these are rare diseases, there needs to be an acquisition of expertise which necessitates an organization of the healthcare system at a national level (the Plan National Maladies Rares or “National Strategy for Rare Diseases” in France met this need). Secondly, in the pathologies that I deal with, there are not only aortic manifestations but also skeletal, ocular and other system manifestations, which require that different specialists work together in a multidisciplinary consultation. Putting together a multidisciplinary consultation is not an easy task and it is not always favoured by the healthcare system. 5) What have you accomplished in your medical career that you are most proud of? I am most proud of having established the Marfan Syndrome and Related Diseases Reference Centre (CRMR Marfan et Pathologies Apparentés) in Paris that groups all of the necessary specialists in one location. This has led to an overall improvement in the management and care of patients and has also allowed us to acquire genuine expertise in a domain that was largely unknown. It has also lead to an improvement in the management of this disease at a national level by increasing the knowledge and recognition of Marfan syndrome, a disease that today really signifies something to cardiologists compared to in the past when it was still relatively unheard of. 6) Are you currently involved in any research projects or clinical trials? If so can you please describe them briefly? Yes, I am involved in several research projects linked with my implication in the management and treatment of patients at the Marfan Syndrome Reference Centre. Some of these projects are clinical and use the database that we have set up with the data from the patients treated at our centre, which allows us to describe the new pathologies that we discover. I am also involved in a fundamental research project linked with INSERM (French National Institute of Health and Medical Research), where I am a team leader, that has the goal of finding new mutations (and discovering new rare diseases) and understanding why certain patients have a severe form of a disease and others a less severe form, when they have the same genetic anomaly. 7) What VASCERN activities do you participate in and which are your favourite? As coordinator of VASCERN, I have a wide range of activities. There are the global organisational activities that are based at Hôpital Bichat in Paris, the site of the VASCERN coordination team, and that are related to the coordination of the ERN, which is very stimulating work. There are also my activities that focus on my expertise in aortic diseases, such my participation in the Heritable Thoracic Aortic Diseases Working Group (HTAD-WG) group, which are very interesting and enjoyable as together we have the feeling that we are making real progress. Finally there are the inter-ERN activities such as being part of the ERN Coordinators Group (ERN-CG) where many strategic matters are discussed and decided. 8) What are the main achievements of VASCERN to date? What challenges does VASCERN still face? One of the main achievements of VASCERN to date is that it has connected expert centres from different countries that previously worked on the same diseases but did not necessarily share their expertise with other European centres and are now all working together towards a common goal. Other notable achievements include the publication of our first Pills of Knowledge (eLearning tool: educational videos made by experts), our communication efforts (i.e. website, Twitter, Facebook and YouTube), the definition of our first patient pathways for rare vascular diseases that are being finalised, and a VASCERN mobile application (VASCERN App) that will be launched in March 2018. Our 1st 2 day annual seminar, which took place in Paris on October 13-14th 2017, was also a great achievement! The ethical/legal hurdles involved with cross-border sharing of data and the complexities of integrating the ERNs into the various national healthcare systems are a few of VASCERN’s challenges that we are working on overcoming. First HTAD-WG Pill of Knowledge Published!